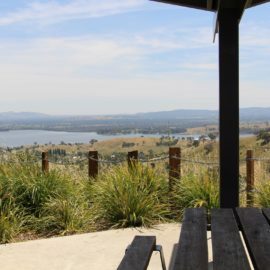 Overlooking Lake Hume is the picturesque town of Bellbridge, offering views of nearby Bethanga Bridge. Bellbridge is a small town with a population of 370 people. Although small, because of its ideal location on Lake Hume it attracts visitors from near and far. Bellbridge is located only a short drive from Albury/Wodonga which makes it a popular destination for not just tourists but for Albury/Wodonga locals to enjoy fishing, boating, swimming, kayaking, water skiing and jet skiing. 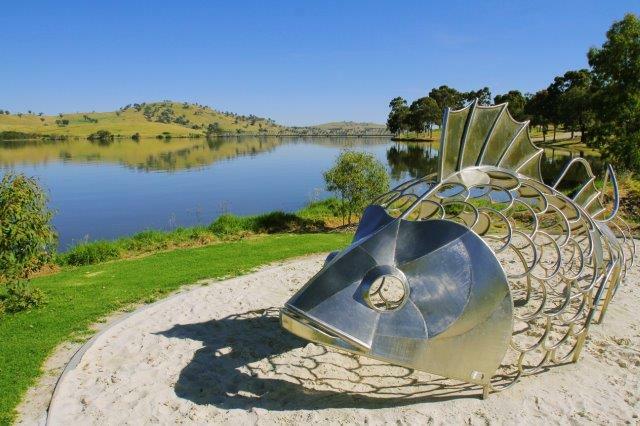 While you are visiting Bellbridge, make sure you get a photo with the large silver cod on the foreshore, as well as the iconic Bethanga Bridge. Perhaps grab an ice cream from the Bellbridge Store and find a spot to sit at one of the many picnic tables along the foreshore. 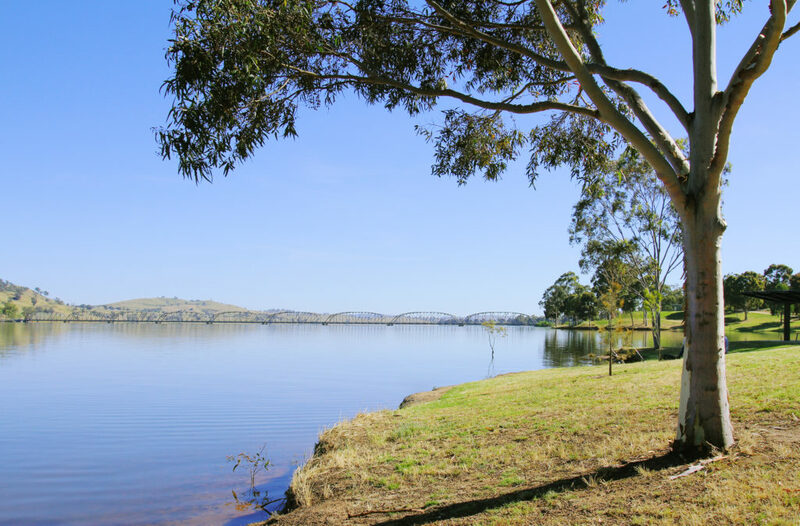 The foreshore is an ideal place to watch the sun go down over the lake or perhaps; have a fish off the bank, take a dip in Lake Hume or just sit and admire the lake and Bethanga Bridge. If water sports aren’t for you, there are plenty of walking paths and picnic spots to visit nearby. A visit to Bellbridge would not be complete without a visit to nearby Kurrajong Gap Lookout. If the tummy is grumbling and you feel like a bite to eat, the Bellbridge Lake Hume General Store is a great place for a coffee and some fish and chips. Or if you are after a more traditional pub meal and you would like to enjoy a few drinks then perhaps take a short drive to the Granya Hotel or Bethanga Courthouse Hotel. Bellbridge is a great place to visit for your next country escape. So come and stay awhile or just spend the day, either way make sure you put Bellbridge on your list of places to visit.